Relive the magic and wonder of the British rock band that gifted the world so many classic songs. Who could forget Queen’s 69-concert Rock ‘n’ America Tour supporting their Hot Space album, including two July 1982 concerts in Madison Square Garden? 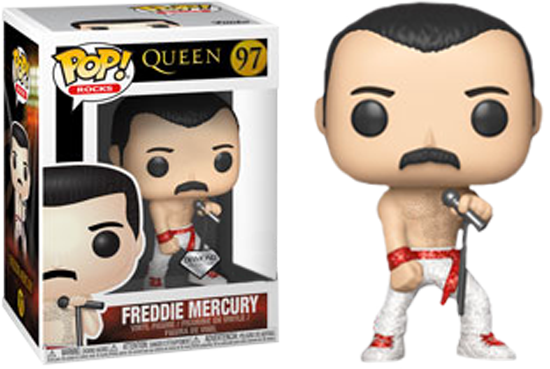 Relive the glory with a Freddie Mercury Pop! commemorating the show. This Pop! Rocks Vinyl Figure measures approximately 3 3/4-inches tall. Comes packaged in a window display box.